Th e first Feast Recipe was handed down to me by my mother-in-law. As the queen of casseroles, this was an unusual dish for her to bring to the table. However, after taking one bite, I knew why her sons raved about it so much. Since the purpose of Feast is to allow busy families to prep for dinner earlier in the week as time permits, I will be sharing how I prepare both of these dishes ahead of time so that there is limited cooking time needed on the day of the actual meal. Buon appetito! 1. Mix all ingredients together except the ham and mozzarella. I use my hands to mix because it goes faster. 2. Lay out sheet of plastic wrap approximately 9×13 size. 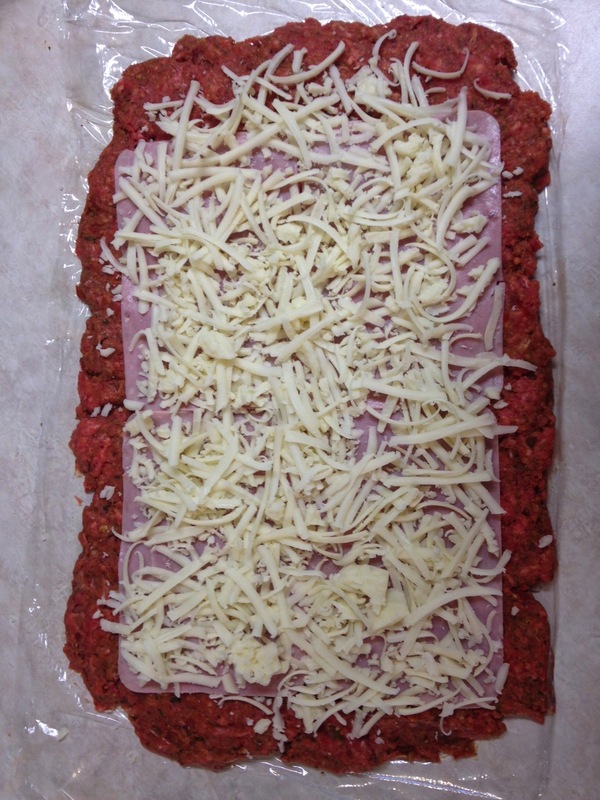 Dump meat mixture on the plastic wrap and press out into a ½ inch thick rectangle being sure to keep the mixture on the plastic wrap. 3. Layer ham slices over the meat layer. 4. Add layer of mozzarella over the ham. 6. At this point, you can cover with aluminum foil and place in freezer for up to 7 days or in refrigerator overnight. Place in oven at 400° for 1 hour or until internal temperature reaches 160 degrees. Remember, Feast is all about sharing meals and moments with your family. No matter what you serve, the faces that sit around the table are the most important aspect of any meal. This entry was posted in Cooking, Main Dish and tagged recipes on February 16, 2015 by aliciachall28.